Partnering with TEDxBurm and an Added Gift! JJD Innovations is proud to be partnering with TEDxBrum to help deliver this year’s event, to be held at the Library of Birmingham (UK), on the 8th of November 2014. There are a whole range of exciting speakers and performers set to take the stage on the day to share and spread ideas. The volunteer team has been working for the past 12 months to bring this incredible event to life and JJD has played a small part in this by helping bring the infamous letters to life. For those of you who don’t know, one of the main stage props for all TED & TEDx events are the unmistakable letters! In the true sense of #DIY, we decided to get it CNCed ourselves which turned out super cheap and very easy to do! We decided to take this one step further…. 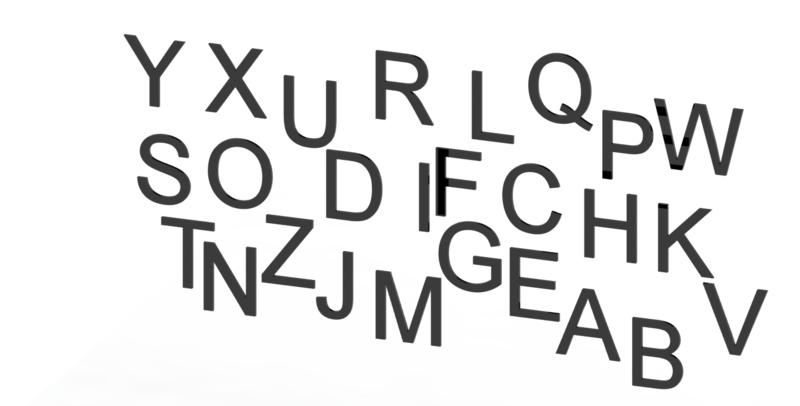 We have modelled the whole alphabet, TEDx style (we used Arial Font) in both upper case and lowercase, available in Solidworks, DXF and STL format (it was really easy!). You can use them to digitally fabricate the letters in various formats, including 3D printing and CNC routing. These are free for all to use, no attributions are needed. Here is the link for you to download the files. If you need any help or have some feedback, good or bad, get in contact with us by emailing contactus@jjdinnovations.com. Please note the TED and TEDx logos are copyrighted by TED and all usage of these letters should be done in conjunction with TEDx’s official logo guidelines. JJD have made these available free to use and no attributions required. JJD takes no responsibility for use of these models or files by yourself or any third party. 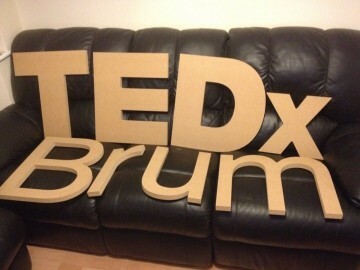 We already had the TEDxBrum logo designed based on the guidelines provided by TED. This is the base of the design and it is crucial to stick to the branding guidelines. Convert the file to DXF using your graphics software such as Adobe Illustrator or using the autosketch facility in Solidworks. You would want to try and get the sizes right for what you want. Find your friendly local CNCer, you will need a CNC router. We worked with Maker. Work with your CNCer to make sure you get the tolerances and minimums & maximums right (distance between letters etc.). You might have to modify the file to suit the specifications of your CNCer. One way of doing this is through your CAD software. Alternatively your CNCer might do this for you! Get the letters cut out of the thickest material possible. We used 25mm MDF wood. Now to paint, make sure you prime the wood before otherwise it will absorb the paint. the TEDx needs to be in Red (Pantone 485) and Brum in white. 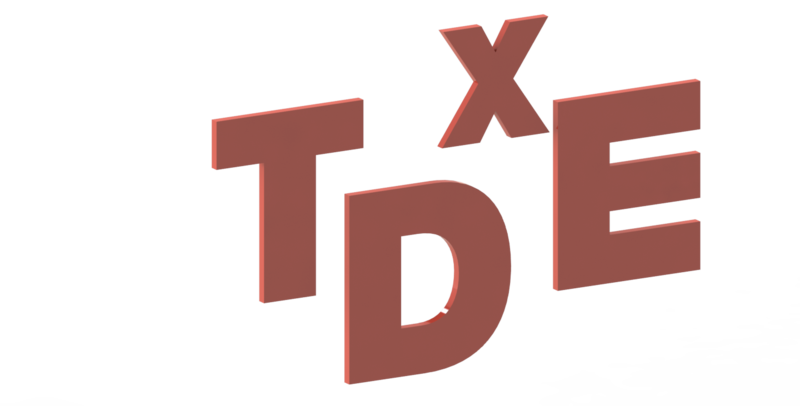 Hope this helps, you can download the Solidworks file and DXF files for the TEDxBrum logo if you want to take a look. 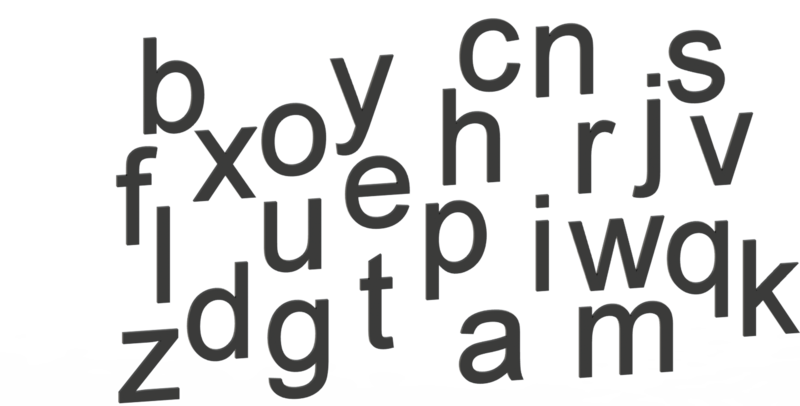 You can download the whole alphabet here.